Ready jump in and enjoy is this Great looking and driving 1969 Plymouth B5 Blue Road Runner powered by its Freshly rebuilt 383 V8 engine and its Rebuilt 727 automatic transmission. This Awesome Road Runner Comes equipped with power steering, headers, dual exhaust, am radio, fender tag, broad cast sheet, and is riding on a nice set of Cragar SS rims with Cooper Cobra RWL tires. Its B5 blue paint has been repainted years ago to a nice driver condition with a nice solid body. Its blue bucket seat interior is also older but still looks real nice. It comes with Receipts that were done in 2014 and more recent of motor, transmission rebuild, fuel system, brakes, and wheels and tires totaling around $9000 dollars. 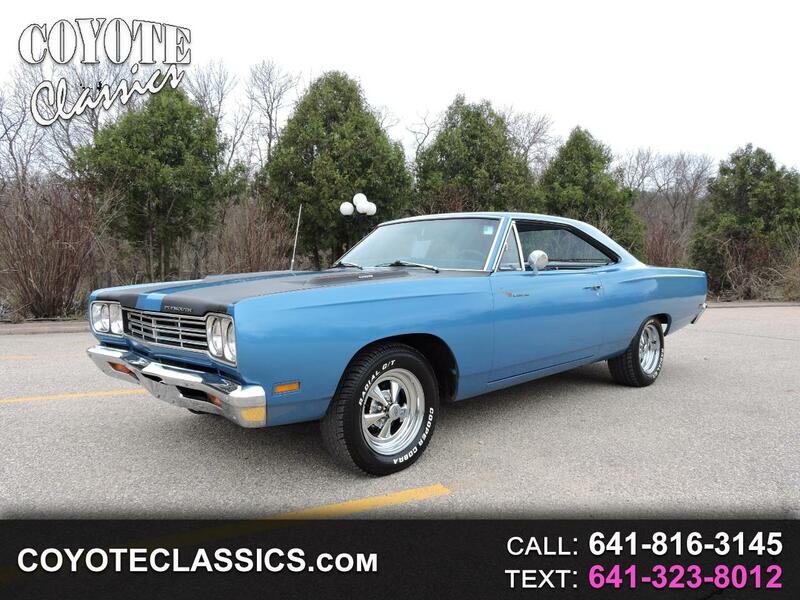 This is a great driving road runner that is ready for summer fun. Message: Thought you might be interested in this 1969 Plymouth Road Runner.